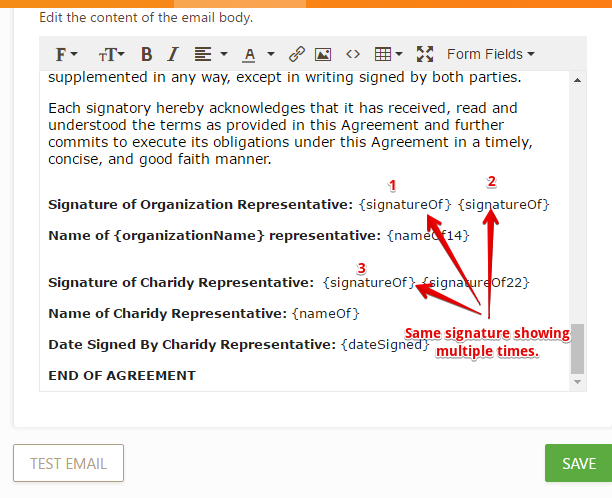 E-Signature: Why it duplicates on all signature fileds on the form after editing the submission? 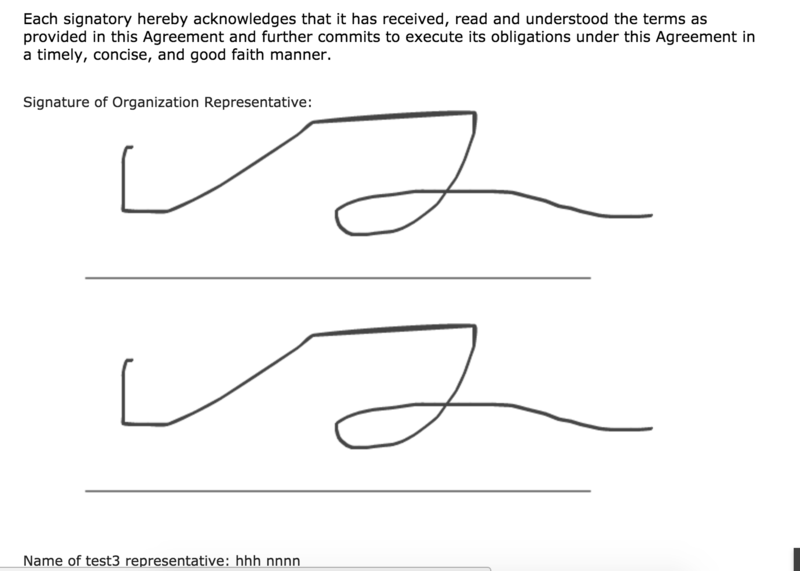 Complete text of agreement gets emailed back to the client and the company rep, including the signatures and including letterhead. 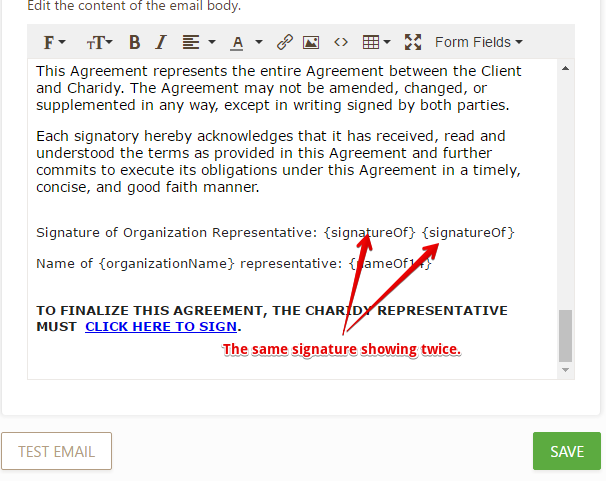 When I did a test, the same signature appeared twice and the formatting was strange. I have checked this and found it only happens on the email notification, upon checking the email settings I can see you have included the field's name twice, this is why it does appear duplicated. 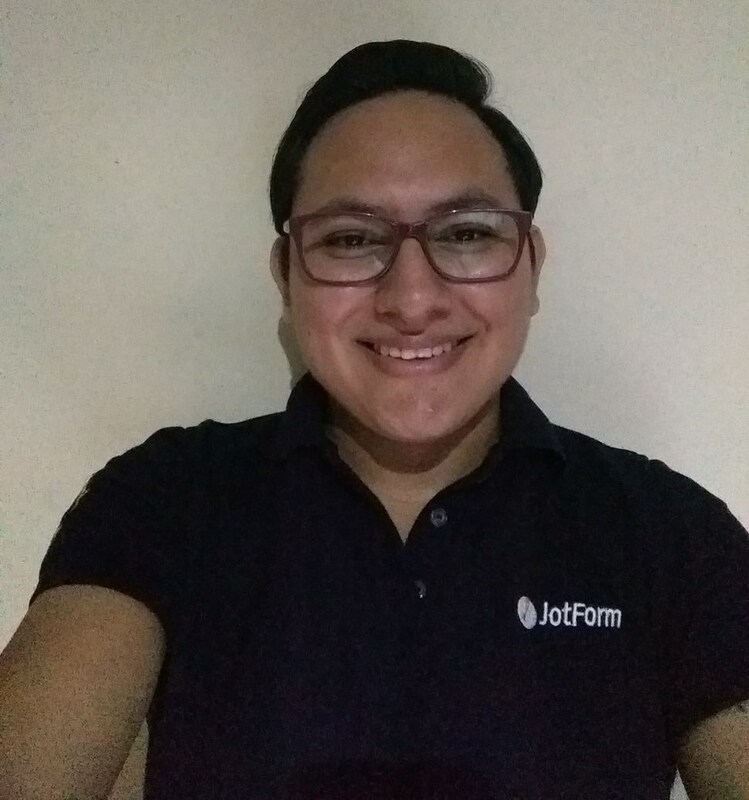 Please, check the names, if you have the same field name then the input will be displayed the same number of times.